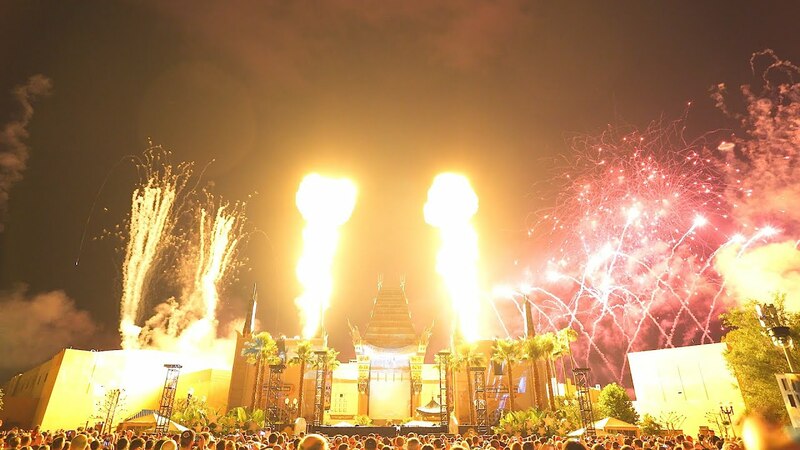 Jun 18, 2016 in "Star Wars A Galactic Spectacular"
Disney's Hollywood Studios launched its new "Star Wars: A Galactic Spectacular" firework show earlier this evening. 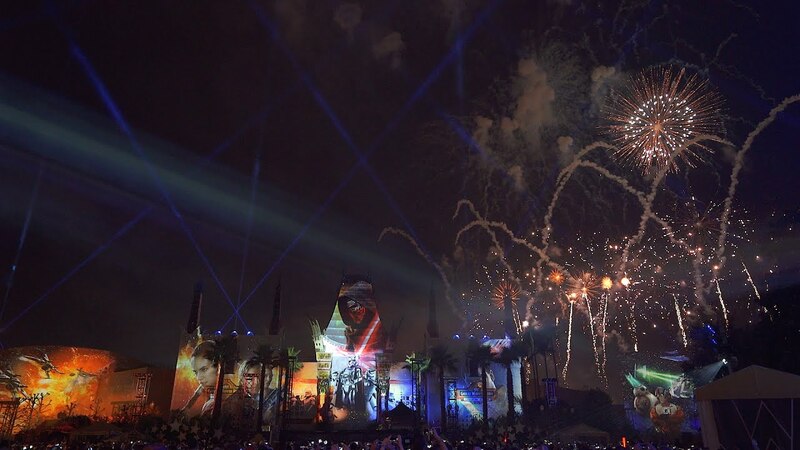 The new show features multi-channel surround sound, massive projection-mapped movie clips on the Chinese Theater, lasers, lighting, low-level pyrotechnics and fireworks launched from the park's new launch site. Check out the video of the very first performance of "Star Wars: A Galactic Spectacular." Quick viewing tip. Unlike other recent firework shows at the Studios, this one is best viewed from the Center Stage area, with the action taking place throughout that area. The fireworks are also off to the far right side, and are not very visible from further back on Hollywood Blvd near the main entrance. The 12 minute show is currently performing nightly at 9:45pm, but check times guides for any changes.